"Delivering the final chapter of the Ezio trilogy is an important milestone in the Assassin’s Creed franchise for us and for our fans," said Ubisoft Montreal creative director Alexandre Amancio, in the announcement. 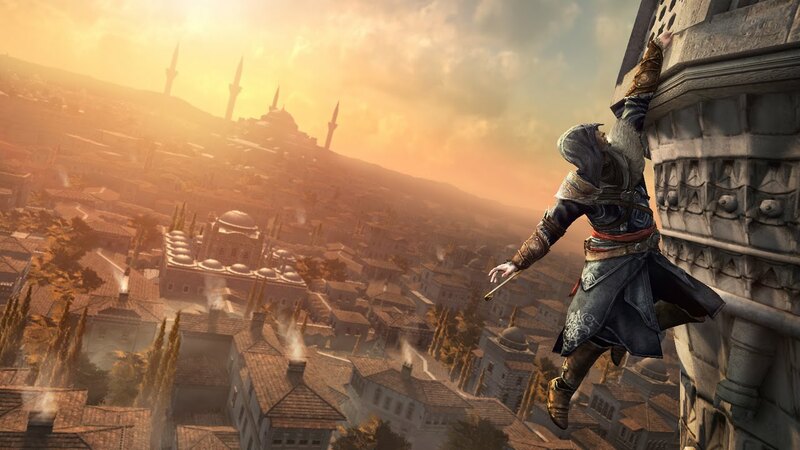 "Assassin's Creed Revelations includes lots of new features and some significant surprises. We can’t wait to show our fans what we have in store at E3 this year." The Ezio Trilogy? Since when? Ah, but Hagia Sophia and the Fall of Constantinople? And Altair? I have to admit, the combination of all of these elements could be sublime. And the visual of Ezio heading toward his winter years paints quite a distinguished picture. I resolve to stay positive about Revelations. I spent a lot of time wringing my hands about Brotherhood, and in the end it was all for naught because I was absolutely transformed by every bit of it's juicy goodness. That being said, just as I was unhappy about the aggressive campaign for the multiplayer last year, I am not fond of this new marketing machine that forces fans to spread the word via social networking sites like an unholy plague in order to savor small bits of information. I like the mystery element, but not the digital littering. Once again, I am less interested in the 'community' aspect and more in touch with my personal relationship with the final product.